A man on death row for a 1985 murder conviction is set to be given a lethal injection despite five judges saying he’s innocent. Kevin Cooper was convicted of murder 31 years ago in the slayings of Douglas and Peggy Ryan of Chino Hills, California, and their 10-year-old daughter. A 10-year-old boy, Chris Hughes, was also killed. Douglas and Peggy’s 8-year-old son Josh’s throat was slit but he survived. California lifted its moratorium on executions last November, and the state is now slated to kill Cooper. In an exclusive interview with NBC News, Cooper, 57, said he’s exhausted all his options in court. However, he is to file a last-ditch appeal with California Gov. Jerry Brown in the hopes that he has an “open mind” about evidence in his case. I am innocent. And it’s not my execution, it’s my murder. “I am the only person in the history of the state to have five federal circuit judges say that ‘the state of California may be about to execute an innocent man,'” he continued. Cooper added, “I’m not asking America as a whole, or any one person in particular, to believe me. Forget what I say. I’m asking people to believe those [judges]. The boy who survived, Josh, initially said that three white or Latino men had killed his family. The boy’s account, along with physical evidence that suggested multiple killers, led police to issue a bulletin saying three “white or Mexican males” suspects were involved in the family’s murders. However, police later identified Cooper as the suspect, mainly because he had escaped from prison and was staying nearby. Police said a footprint at the scene came from a prison-issue shoe, but a warden from the prison said that wasn’t an explicitly true fact. However, the evidence wasn’t produced in front of a jury. Later, Josh changed his testimony to say that he’d seen Cooper kill his family. But two other witnesses said they saw three white men driving in a station wagon down the road away from the family’s house. The family’s station wagon was stolen that night. A local woman, Diana Roper, said she believed her estranged husband, Lee Furrow, was involved in the murders, according to the sheriff’s department. She said that Furrow and several other individuals showed up at her home late at night. A hatchet belonging to [Lee] Furrow, a white male who had been convicted of murder, had gone missing. Five other judges joined in Fletcher’s dissent, saying that Cooper never had a fair hearing to determine his innocence. Meanwhile, DNA testing later found that there was “strong evidence” Cooper’s DNA was extracted from items of evidence: a bloodstain in the Ryen’s home, saliva on two cigarette butts in the Ryen station wagon, and a bloodstain on a T-shirt found beside a road near the Ryen home. However, those tests were called into question. Judge Fletcher laid out countless anomalies in the case. Mr. Cooper’s blood showed up on a beige T-shirt apparently left by a murderer near the scene, but that blood turned out to have a preservative in it—the kind of preservative used by police when they keep blood in test tubes. They said that the man was no longer wearing the beige T-shirt he had on earlier in the evening—the same kind as the one found near the scene. And his hatchet, which resembled the one found near the bodies, was missing from his tool area. The account was supported by a prison confession and by witnesses who said they saw a similar group in blood-spattered clothes in a nearby bar that night. The women gave the bloody overalls to the police for testing, but the police, by now focused on Mr. Cooper, threw the overalls in the trash. But in 2004, then-Gov. Arnold Schwarzenegger said no clemency should be granted in Cooper’s case. 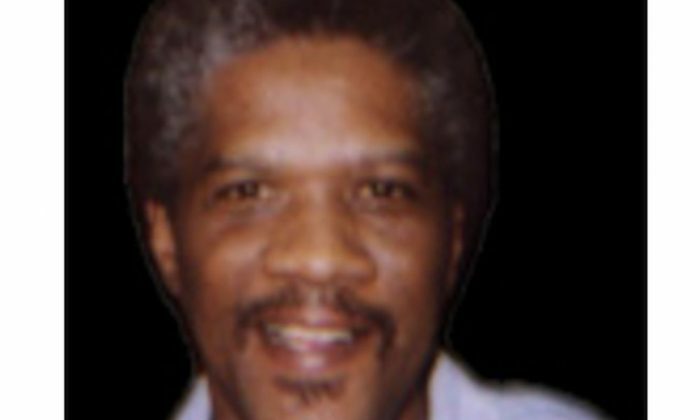 “I have carefully weighed the claims presented in Kevin Cooper’s plea for clemency. The state and federal courts have reviewed this case for more than 18 years. Evidence establishing his guilt is overwhelming, and his conversion to faith and his mentoring of others, while commendable, do not diminish the cruelty and destruction he has inflicted on so many. His is not a case for clemency,” Schwarzenegger wrote. Imagine spending 20 years in prison because science proved you guilty. Imagine being vindicated because science then proved you innocent.